Chemistry Tuition for Class 12 Chemistry KERALA STATE BOARD (SCERT) is available through online tuition home tutor. Tutormine, one of the best online tuitoring platforms, offers eminient tutors for live interactive one-to-one online tuition for all subjects right at the home of students. I have completed my post graduation in MSc Analytical Chemistry and have 6 months of experience as a tutor in chemistry and have 3 years experience in chemistry chemistry lab of various companies. 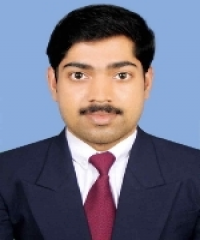 I have completed my post graduation in MSc Analytical Chemistry from Maharaja’s College, Ernakulam affiliated with MG University and have completed my graduation from UC College Aluva affiliated with MG University.